It is a bit late in the day for me. Not feeling up to snuff today. 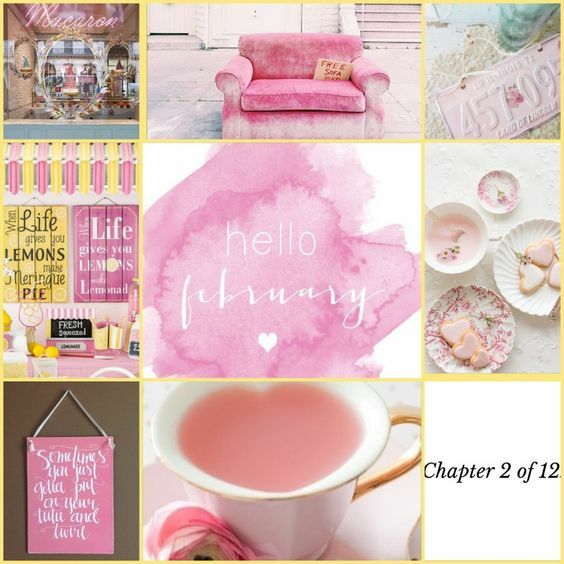 Sipping on some Sugar Plum Fairy pink tea, welcoming in February. While it says rain and clouds on the weather app, the glaring sun and warm temperatures are saying something else. I know because the sprinkler system doesn’t come on unless it’s over 54 degrees and it came on today. So everyone we know has this ‘flu’ thingy. And this morning I woke up with a sore throat and a headache along with a sensitive tummy. So I made some Turmeric Tea and filled the bath with Lavender Epsom Salts and proceeded to try to exorcise whatever demon has taken up residence in my body. Said body was highly offended at the intrusion of a germ. I mean for cripe’s sake, all I eat are fruits and vegetables and good for you stuff. But tiny terrorists at the school don’t care. They freely spread their little germs to all who enter the Kindergarten domain. We are a firm go for next Friday, with pre-op on Thursday. I am a bit peeved that the patient told his aunt she could come and sit with me during the surgery. More than a bit. I was planning on finishing up the new Citizenship Study Guide and now I will have to make small talk. I despise small talk. I am now off to go moan and groan to my sister. I’m quite sure she will be sympathetic as she is living it up at the beach! Love you MJ! Have a great week-end and please stay warm all of you in the polar vortex. Read a book or watch a movie, just do some self-care and stay warm! Can you think of some project to hand her to do? Take her something to read? Explain you need to finish the study guide? Ask her to join you in meditating silently for three hours? Maybe a smoke break? She does smoke. Which is another reason I don’t like sitting in a small room together. Have the patient suggest to the aunt that she bring some reading material as you have something you need to do. I hate small talk too and refuse to do it. He said to give her my tablet and let her play Corbin’s games!